COSTA MESA, CA. – June 24, 2013 – Channel Vision, celebrating 20 years as a leading manufacturer of innovative technology products for the Well-Connected Home™, today announced they have released their 1.3 Megapixel Vandalproof Mini IP Dome Camera, the 6532. 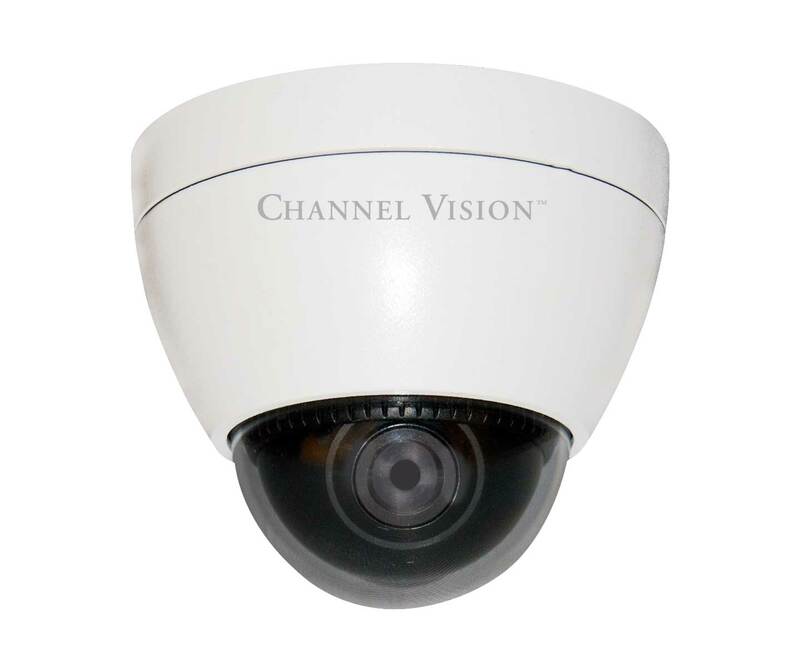 Channel Vision’s 6532 1.3 Megapixel Mini IP Dome Camera offers superior image quality with a 1.3 megapixel CMOS sensor and has the ability to deliver images up to 720p (1280×800 pixels) at 30 frames per second. The 6532’s advanced features like Digital Wide Dynamic Range, Triple Streaming, Power Over Ethernet, Digital Noise Reduction and its IP66 Rated design makes this the perfect camera for all conditions. View and control the 6532 anywhere in the world with an internet browser or on your smart phone using Channel Vision’s App available in the Android Play Store or the iTunes App Store. Like all Channel Vision IP Cameras, the 6532 includes Channel Vision’s 36 camera CMS software and setup to channelvisionsecurity.com, Channel Vision’s DDNS service. Channel Vision’s CCTV cameras are designed specifically for the installation market and are available for purchase through Channel Vision’s distribution network of custom retailers, distributors, dealers and installers internationally. For additional information please visit http://www.channelvisionelite.com.